Here’s an example of a Primary TeacherStick. Click the playlist button top left of the video to see all the videos. 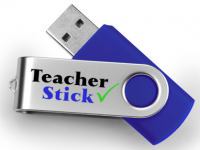 Use the top menu above to see all the videos on our TeacherSticks. Here’s an example of a Secondary TeacherStick. Click the playlist button top left of the video to see all the videos.